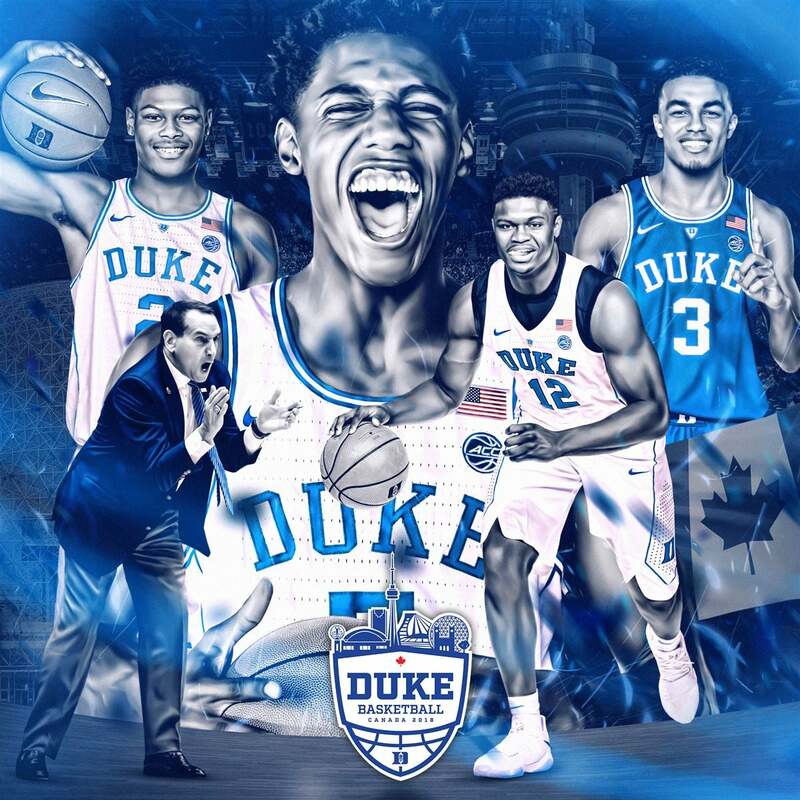 Welcome to BlueDevilsReign.com, your Duke Sports information source hosted by Wayne Gooch. All Duke fans are welcome on our message boards. We also offer a premium information service. Duke will have to beat familiar foe in Michigan St on Sunday in the East regional final on Sunday afternoon. The Spartans are led by Hall of Fame coach Tom Izzo who is in his 8th year in East Lansing. The Spartans who have won 13 of their last 14 games have breezed through their half of this bracket winning every game by double figures. The Spartans lost one of their better players Josh Langford early in the season and were also without big man Nick Ward for several games in mid season, but yet have rolled as of late. The Spartans play a 7 man rotation and inserted freshman Aaron Henry in the starting line up after Ward went down and haven't missed a beat. The Blue Devils and Spartans share common opponents in Louisville and Indiana with the Spartans going 0-3 against them while Duke went 2-0. Here is the starting line up and key reserves. The line up features 6 of their top 7 that range in size from 6-5 - 6-9. 6-9 Soph. Xavier Tillman 9.8 pts, 7.2 rebs. 6-5 Sr. Matt McQuaid 9.8 pts, 3.1 rebs. 6-7 Sr. Kenny Goins 8.1 pts, 9.0 rebs. 6-6 Fr. Aaron Henry 6.0 pts, 3.9 rebs. 6-9 Jr. Nick Ward 13.4 pts, 6.2 rebs. 6-6 Jr. Kyles Aherns 4.7 pts, 2.5 rebs. The Spartans are averaging 78.5 points per game and allow 65.0. They are shooting 48.6% from the field and give up 37.8%. They are shooting 38.2% from three on 8.3 made per game and hold their opponents to 31.4% on 7.1 made. They are out rebounding their opponents by 9.4 per game and commit 12.8 turnovers and force 10.1. Notes: The Spartans shoot 75.6% from the free throw line. The game will be televised by CBS at 5:05 pm. Duke will take on ACC partner Virginia Tech in Washington, DC on Friday night in a rematch of a game played in Blacksburg a month ago when the Hokies Duke a 77-72 defeat. Buzz Williams brings in the Hokies winners of 6 of their last 8 with both losses coming to another ACC Sweet Sixteen participant Florida St. The Hokies were missing point guard Justin Robinson in that game as was Duke missing Zion Williamson. Robinson didn't start the first two games of the tournament, but is expecting to return to the line up on Friday. Here are the starters and key reserves. 6-10 Jr. Kerry Blackshear Jr. 14.9 pts, 7.3 rebs. 6-5 Sr. Ahmed Hill 13.1 pts, 3.8 rebs. 6-6 Sr. Ty Outlaw 8.7 pts, 5.4 rebs. 6-1 Soph. Wabisse Bede 3.6 pts, 2.5 rebs. 6-3 Fr. Isaiah Wilkins 4.8 pts, 2.3 rebs. The Hokies are averaging 73.6 points per game and allow 61.7. They are shooting 47.2% from the field and give up 40.4%. They are shooting 39.5% from three on 9.4 made per game and hold their opponents 32.7% on 8.7 made. They are out rebounding their opponents by 2.3 per game and are committing 11.2 turnovers while forcing 14.1. Notes: The game is scheduled for 9:30 pm on Friday or 30 minutes after the Michigan St.- LSU game. It will be televised on CBS. Duke advanced to the round of 32 on Friday night and now will take on Central Florida and Duke legend Johnny Dawkins. Dawkins in his third in Orlando has led his team to a 24-8 record and a 13-5 record in AAC Conference. The Knights have an experienced team that sports the tallest player in basketball in Tacko Falls at 7-6. They have impressive wins over Alabama, Temple, Connecticut and their biggest win over Houston at Houston. The Knights are a deep team and Coach Dawkins son Aubrey Dawkins a transfer from Michigan is a key component as the second leading scorer and rebounder. 6-6 Jr. Aubrey Dawkins 15.1 pts, 5.1 rebs. 7-6 Sr. Tacko Fall 11.0 pts, 7.7 rebs. 6-11 Soph. Collin Smith 8.1 pts, 5.1 rebs. 6-4 Sr. Dayon Griffin 4.7 pts, 2.1 rebs. 6-9 Sr. Chad Brown 4.5 pts, 5.1 rebs. 6-2 Soph. Ceaser Dejesus 3.4 pts, 0.9 rebs. 6-5 Jr. Frank Bertz 3.2 pts, 1.4 rebs. The Knights are averaging 72.2 points per game and allow 64.1. They are shooting 46.4% from the field and allow 39.2%. They are shooting 36.1% from three on 6.9 made per game and hold their opponents to 31.0% on 7.0 made. They are out rebounding their opponents by 2.3 per game and are committing 11.9 turnovers while forcing 12.3. Notes: The game is scheduled for 5:15 on Sunday and will be televised on CBS. Vince Taylor another former Duke great who played his last two years under Coach K is an assistant with the Knights. Duke the overall number one seed will take on a play in winner in the North Dakota St. Bison in Columbia, S.C. on Friday night. The Bison a member of the Summit league are led by Coach Dave Richman who is in his 4th year at the Fargo, North Dakota school. Richman is a Bison alum who took over in 2014 after 7 years as the associate head coach. The Bison shared a common opponent with Duke in Gonzaga. Gonzaga defeated them 102-60. The other high major they played was Iowa St and they lost to them 81-59. The Bison are winners of their last 6 in a row and sport a roster that does not have a senior on it. The Bison Beat North Carolina Central 78-74 in Dayton last night to secure their spot against Duke. 6-6 Jr. Tyson Ward 12.6 pts, 6.3 rebs. 6-10 Soph Rocky Kreuser 8.9 pts, 3.8 rebs. 6-3 Jr. Jared Samuelson 7.3 pts, 2.4 rebs. 6-6 Fr. Sam Greiser 6.2 pts, 3.8 rebs. 6-8 Jr. Deng Geu 9.7 pts, 5.0 rebs. 6-3 Soph. Cameron Hunter 7.0 pts, 1.7 rebs. 6-5 Fr. Tyree Eady 6.6 pts, 2.4 rebs. 6-2 Soph. Jordan Horn 4.1 pts, 1.5 rebs. 6-5 Jr. Chris Quayle 2.2 pts, 1.7 rebs. The Bison are averaging 73.4 points per game and allow 72.2. They are shooting 45.7% from the field and give up 46.0%. They are shooting 36.8% from three on 9.5 made per game and allow 36.0% on 7.4 made. They are being out rebounded by 1.6 per game and are committing 10.4 turnovers per game and are forcing 9.9. Notes: The game is scheduled for 7:10 pm and will be televised on CBS. Duke will travel over to Chapel Hill for the rematch of 2 1/2 weeks ago. 6-8 Sr. Luke Maye 14.9 pts, 10.3 rebs. 6-4 Sr. Kenny Williams 8.6 pts, 3.6 rebs. 6-9 Soph. Garrison Brooks 8.0 pts, 5.8 rebs. 6-7 Fr. Nassir Little 9.6 pts, 4.6 rebs. 6-3 Soph. Brandon Robinson 3.3 pts, 1.5 rebs. 6-2 Jr. Seventh Woods 2.9 pts, 1.1 rebs. The Tar Heels are averaging 86.8 points per game and allow 73.1. They are shooting 46.8% from the field and hold their opponents to 41.4%. They are shooting 37.3% from three on 8.9 made per game and allow 33.5% on 8.8 made. They are out rebounding their opponents by 10.2 per game and are committing 13.4 turnovers per game and force 14.4. Notes: The game is scheduled for 6 pm and will be televised on ESPN. Duke returns to Cameron Indoor Stadium for their final home game of the year when they host the Wake Forest Demon Deacons. The young Deacons are led by Coach Danny Manning. 6-8 Fr. Jaylen Hoard 13.4 pts, 7.9 rebs. 6-5 Soph. Chaundee Brown 11.6 pts, 4.9 rebs. 6-5 Fr. Sharone Wright Jr. 7.0 pts, 2.3 rebs. 6-10 Sr. Ikenna Smart 2.2 pts, 2.8 rebs. 6-8 Fr. Isaiah Mucius 6.4 pts, 3.6 rebs. 6-3 Sr. Torry Johnson 5.9 pts, 1.8 rebs. 6-8 Soph. Sunday Okeke 1.1 pts, 2.1 rebs. Notes: The game is scheduled for 7 pm and will be televised on ESPN. The Duke Blue Devils return home on Saturday to host the Miami Hurricanes. The Hurricanes are led by Coach Jim Larranaga in his 8th year in Miami. The Hurricanes have struggled this year with injuries and are currently are playing 7 players. Here are starters and key reserves. 6-2 Sr. Zach Johnson 12.3 pts, 3.0 rebs. 6-3 Jr. D J Vasiljevic 11.6 pts, 4.4 rebs. 6-10 Sr. Ebuka Izundu 10.7 rebs, 8.6 rebs. 6-10 Soph. Sam Waardenburg 5.8 pts, 3.4 rebs. 6-6 Fr. Anthony Mack 2.6 pts, 1.2 rebs. The Hurricanes are averaging 72.6 points per game and allow 70.3. They are shooting 43.9% from the field and give up 44.3%. They are shooting 34.1% from three on 8.5 made per game and hold their opponents to 33.6% on 7.9 made. They are being out rebounded by 2.8 per game and are committing 11.8 turnovers and forcing 13.7. Notes: The game is scheduled for 4 pm and will be televised on CBS. 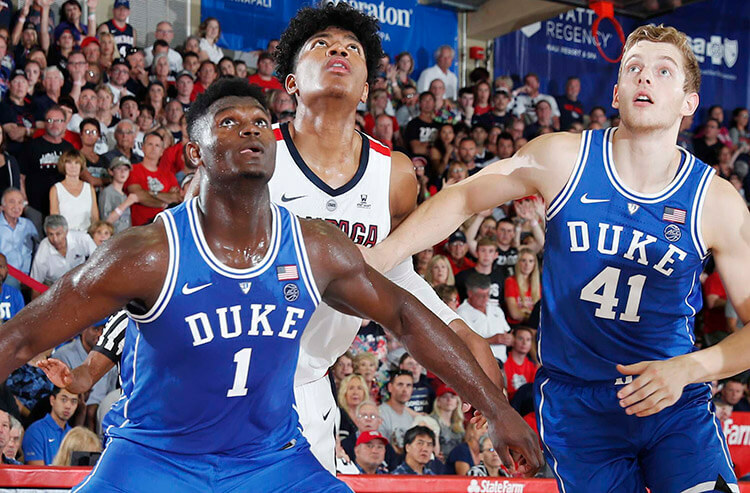 Duke will travel to Blacksburg, Virginia tomorrow night as they take on the Virginia Tech Hokies and again will be without Zion Williamson. The Hokies are led by Buzz Williams in his 5th year, who are also missing a key player in point guard Justin Robinson who has missed several games with a leg injury. The Hokies are still one of the best 3 point shooting teams in the country shooting over 40% and making nearly 10 a game. The Hokies are short handed without Robinson and two games ago against Virginia played 4 players 40 minutes in a loss. Here are the starters and key reserves. 6-10 Jr. Kenny Blackshear Jr. 14.6 pts, 7.2 rebs. 6-5 Sr. Ahmed Hill 12.9 pts, 3.7 rebs. 6-6 Sr. Ty Outlaw 8.3 pts, 5.2 rebs. 6-1 Soph. Wabissa Bede 3.3 pts, 3.3 rebs. 6-3 Fr. Isaiah Wilkins 4.8 pts, 2.4 rebs. 6-5 Soph. P. J. Horne 4.1 pts, 2.7 rebs. The Hokies are averaging 74.4 points per game and are allowing 61.1. They are shooting 47.8% from the field and give up 40.5%. They are shooting 40.1% from three and make 9.7 per game while allowing 33.9% on 8.9 made. They are out rebounding their opponents by 3.2 per game and are committing 11.7 turnovers per game and force 14.7. Notes: The game is scheduled for 7 pm and will be televised on ESPN. Va. Tech has the #13 best offense, #28th best defense with a #56 strength of schedule per Ken Pom and is ranked #13 by Net. Duke will travel to Syracuse to take on the Orangemen Saturday night. Both teams will be dealing with adversity as Zion Williams has been ruled out Duke and Jim Boeheim, Syracuse's coach is dealing with a tragic accident that claimed the life of a local man on Wednesday night. 6-6 Jr. Elijah Hughes 13.8 pts, 4.3 rebs. 6-8 Soph. Oshae Brissett 13.2 pts, 7.9 rebs. 7-2 Sr. Paschal Chukwu 3.8 pts, 5.5 rebs. 6-10 Soph. Marek Dolezaj 3.9 pts, 3.6 rebs. 6-5 Fr. Buddy Boeheim 5.9 pts, 1.3 rebs. The Orangemen are averaging 70.0 points per game and allow 63.7. They are shooting 42.4% from the field and hold their opponents to 39.2%. They are shooting 32.4% from three on 7.7 made per game and allow 31.0% on 8.2 made. They being out rebounded by 0.8 per game and are committing 12.4 turnovers while forcing 14.7.